Write It Down: Write Things Down. Keep a small notepad in convenient places so that when you think of something you need to do, errands you need to run, calls you need to make or items you need to purchase you can jot them down to remind you. This will save you time and help you to recall the many things you need to do as a mom. Ever wished you could swing your iPhone around like a lightsaber? Well now you can, with Lightsaber Unleashed! One of the App Stores most popular apps, PhoneSaber, returns in a new and improved form - Lightsaber Unleashed. As you swing your phone, a range of Lightsaber™ sound effects will be emitted from your phone's speaker (or connected audio output). Not only that, but you can also draw and withdraw your Lightsaber. You can also choose your Force Unleashed character of choice, as well as playing some duelling music to get you in the mood! Last but not least, you can enter a full screen Lightsaber mode, to enhance your lightsaber experience! 1st gen iPod Touch Users Note: Most of the fun from this app comes from the external speaker, but feel free to download and use with any audio output anyway. Click Here to download your FREE Lightsaber Unleashed APP today. BuckleyBoo is a growing collection of stuffed toys co-created by a child psychologist and grandma! BuckleyBoos encourage cognitive development through multi-stage learning. What this means is that from the ages of 15 months to 4 years your child will embark on a developmental journey where each mastered task serves as a springboard for the next level of learning. These days, my niece, age three, likes to play mommy as she buckles and unbuckles: "You have to put on your coat, BuckleyCat. Let me buckle you! Hold still, you silly. There! Now you're warm and cozy!" WIN: 24/7 MOMS and Buckley Boo are giving away a Buckley Boo. US entries only and one entry per person. Winner will be chosen on September 12, 2010. *We received a complimentary Buckley Boo for review no financial compensation was received. Day 90 - Recycle those tin cans and help your kids make a tin can telephone. Click here for how to instructions. Q: What time is it when 12 cats chase a mouse? What do balloons, cupcakes, party hats and gifts mean? File System: Create a file system, purchase a file box and folders. Make folders for bills, letters, bank statements, warranties, instruction manuals, receipts and anything else you have that needs to be filed. I should own stock in Ziploc bags I think every mom needs a case of each size at all times in her home. Ready to WIN your own Bags...enter below. Did you know the average household throws out more than $500 worth of food ever year? Protect your food with Ziploc® Brand Freezer Bags. Each bag locks out freezer burn while keeping food fresh and full of taste. Less freezer burn means less wasted food and money. Plus, these tough, durable bags feature our Smart Zip™ seal-it lets you hear and feel the bag close from edge-to-edge, so you can feel confident your food is protected from freezer burn. The slider closure makes these bags easy to open and close! Keep your food fresh with Ziploc® Brand Slider Bags. Each bag features a slider closure and an expandable bottom that opens into a flat base, helping the bag stay upright so it’s easy to fill. Plus, these bags feature our Smart Zip™ seal—it lets you hear the bag close so you can feel confident your food is protected. Food stays fresh—at home and on the go. Whether you've got a big double-decker sandwich or a skinny PB&J, Ziploc® Brand Sandwich Bags are perfect for getting more out of the sandwiches you love. Use these handy bags to pack lunch for yourself and your family or just to keep snacks and sandwiches accessible and fresh. Ziploc® Brand Twist ’n Loc® Containers block out air and lock in freshness. Plus, the lids on these handy containers twist on like a jar and have a leak-resistant seal so you don't have to worry about spills or leaks! WIN: 24/7 MOMS and Ziploc are giving away a Ziploc. *We received a complimentary Ziploc for review no financial compensation was received. Day 89 - Kids love to get mail so why not help your child have a pen pal that they can write letters to as well as receive letters from. You can google Kids pen pals to find companies that help with this or you could ask a Friend or relative to help you find a child who lives in a different state or country that would be willing to be your child's pen pal. Q: If I could buy you anything in the world, what would it be? Q: Why do sharks only swim in salt water? Reading Basket: Have A basket that you keep everything you would like to read in, including mail, magazines, books, daily devotions, bible, journal etc. Place it by your bed or other place you can access easily during down time. Aerial, a young, orb weaver spider, is the "runt" of Spinnerellas's spiderlings. He suffers rejection and ridicule from the residents of Spiderville because of his size and inability to do the sorts of things the other spiders do instinctively. When he runs away, Aerial learns how to rise above his limitations in a most unlikely place. 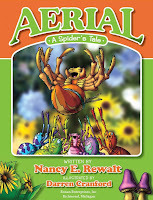 Two new characters, Springer, a jumping spider, and Trap, a trapdoor spider, join Aerial on an adventurous expedition into the wooded realm behind Spiderville. The three best friends enjoy an emotional roller coaster of new experiences, foolhardy fun, perilous risk, and the indisputable solidarity of friendship. Aerial, Trap, and Springer survive their action-packed trek into the woods rife with toads, snakes, and ants and are grateful to be alive to share their stories over and over again from the safety of their homes upon their return to Spiderville. WIN: 24/7 MOMS and Aerial the Spider Books are giving away Aerial the Spider Books. *We received a complimentary set of Aerial the Spider Books for review no financial compensation was received. Day 88 - A favorite childhood summer treat for me was when my mom would arrive home with bottles of root beer and vanilla ice cream announcing we were going to make root beer floats. Make a summer frosty treat and serve your kids root beer floats. Q: What embarrasses you the most? Q: Why do moth's study in school? For all the scrapes and bruises -- not to mention fevers and stuffy noses -- that your child will get, it's a good idea to keep your medicine cabinet well stocked. Here's what you need to know -- from how to store stuff to using your medications and supplies correctly. Not the bathroom. Storing over-the-counter and prescription medicine near sources of moisture or heat, such as in the bathroom or kitchen, can cause pills and liquid medicines to lose potency or, in rare cases, become toxic. The best spot: A high shelf in a linen or bedroom closet -- it's a more stable environment that's out of the reach of children. A tube of antibiotic ointment for cuts and scrapes. If the tube touches an infected cut (especially one that's full of pus), toss it and buy a new one. A box of alcohol wipes. 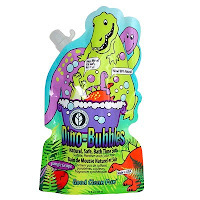 They're much safer to have around than a bottle of rubbing alcohol, which is poisonous if swallowed. Use them to clean thermometers and the skin around wounds (stick to soap and water on open cuts, since alcohol hurts). An anti-itch topical cortisone cream for rashes. Don't get it near the eyes (it's best to avoid the face entirely). And never apply to a baby -- he might lick it off. Petroleum jelly or K-Y Jelly to lubricate a rectal thermometer. Acetaminophen. Make sure it's infant-strength for babies under 35 pounds. And be careful to avoid giving more than is recommended (especially with infant drops, which are more concentrated), as even a small overdose may damage the liver. Ibuprofen for children over 6 months only. Make sure it's infant-strength for babies under 35 pounds. Saline nose drops (non-medicated), which are helpful for clearing a baby's nose. A nasal aspirator (or bulb syringe), in case nose drops don't work. But don't overdo it, since the inside of a baby's nose is particularly sensitive. Cough and cold medicine. It's best to keep separate medications for each symptom so you don't inadvertently double-dose your child on any active ingredients. But always talk to your pediatrician before giving your child cough or cold medication, especially for children under 3 years. Seasonal allergy medication, if needed. An oral rehydration solution, like Pedialyte. You'll have less waste with the single-serve size. Teething gel. Be sure to stick to the recommended dosage. Sterile cotton balls to clean your baby's eyes. Tweezers for removing splinters and ticks. Adhesive bandages in assorted sizes. Keep a close eye on your child, as the small bandages can be a choking hazard. Syrup of ipecac. The American Academy of Pediatrics no longer recommends it for poisonings. See "In case of poisoning," below. Baby or children's aspirin, which are now known to cause Reye's syndrome, a serious disease. The same is true of products containing aspirin, such as Pepto-Bismol (or generic equivalents), topical ointments like Bengay, and certain wart removers. A mercury thermometer. It's an environmental and health hazard if it breaks, so give it to your doctor to toss. Check Grandma's house, too. An ear thermometer. They seem easy to use, but they're not accurate. * Painkillers, decongestants, cough suppressants, and other OTC medicines won't be dangerous, but they may be slightly less potent. * Sunscreen should not be kept longer than three years (it can lose its effectiveness even earlier if regularly exposed to extreme heat). * Antibacterial bandages may no longer fight bacteria (but they'll still protect a cut). * Don't administer anything or try to induce vomiting. * Call 911 or your local emergency number immediately if your child is unconscious, has stopped breathing, or is having a seizure. * Call Poison Control if your child is not in distress: 800-222-1222, day or night. You'll automatically be connected to your local center. * Tell the center what's happened. Give your child's age and weight, any preexisting medical conditions, the time the incident occurred, exactly what your child took, and any unusual symptoms. * Be sure you understand exactly what you are being told to do. Having the right medicines and supplies on hand for scrapes or fevers is an important health measure. But you also need to make sure you regularly check any drugs and supplies you use to make sure they're still safe to use -- so you can help your child feel better fast. Have you cleaned out your medicine cabinet recently? You just may find a few bottles or boxes of expired medication and wonder what is the best way to dispose of them. Today while reading Facebook updates I saw one of our 24/7MOMS Team members Lori ask the question "Does anyone know how I am supposed to get rid of unused/expired medicine?" Here is a great article full of information on this topic from the FDA's website. Most drugs can be thrown in the household trash, but consumers should take certain precautions before tossing them out, according to the Food and Drug Administration (FDA). A few drugs should be flushed down the toilet. And a growing number of community-based "take-back" programs offer another safe disposal alternative. Take advantage of community drug take-back programs that allow the public to bring unused drugs to a central location for proper disposal. Call your city or county government's household trash and recycling service (see blue pages in phone book) to see if a take-back program is available in your community. Do not give medications to friends. Doctors prescribe drugs based on a person's specific symptoms and medical history. A drug that works for you could be dangerous for someone else. Disposal instructions on the label are part of FDA's "risk mitigation" strategy, says Capt. Jim Hunter, R.Ph., M.P.H., Senior Program Manager on FDA's Controlled Substance Staff. When a drug contains instructions to flush it down the toilet, he says, it's because FDA, working with the manufacturer, has determined this method to be the most appropriate route of disposal that presents the least risk to safety. About a dozen drugs, such as powerful narcotic pain relievers and other controlled substances, carry instructions for flushing to reduce the danger of unintentional use or overdose and illegal abuse. For example, the fentanyl patch, an adhesive patch that delivers a potent pain medicine through the skin, comes with instructions to flush used or leftover patches. Too much fentanyl can cause severe breathing problems and lead to death in babies, children, pets, and even adults, especially those who have not been prescribed the drug. "Even after a patch is used, a lot of the drug remains in the patch," says Hunter, "so you wouldn't want to throw something in the trash that contains a powerful and potentially dangerous narcotic that could harm others." Despite the safety reasons for flushing drugs, some people are questioning the practice because of concerns about trace levels of drug residues found in surface water, such as rivers and lakes, and in some community drinking water supplies. However, the main way drug residues enter water systems is by people taking medications and then naturally passing them through their bodies, says Raanan Bloom, Ph.D., an Environmental Assessment Expert in FDA's Center for Drug Evaluation and Research. "Most drugs are not completely absorbed or metabolized by the body, and enter the environment after passing through waste water treatment plants." A company that wants FDA to approve its drug must submit an application package to the agency. FDA requires, as part of the application package, an assessment of how the drug's use would affect the environment. Some drug applications are excluded from the assessment requirement, says Bloom, based on previous agency actions. "For those drugs for which environmental assessments have been required, there has been no indication of environmental effects due to flushing," says Bloom. In addition, according to the Environmental Protection Agency, scientists to date have found no evidence of adverse human health effects from pharmaceutical residues in the environment. Nonetheless, FDA does not want to add drug residues into water systems unnecessarily, says Hunter. The agency reviewed its drug labels to identify products with disposal directions recommending flushing or disposal down the sink. This continuously revised listing can be found at FDA's Web page on Disposal by Flushing of Certain Unused Medicines3. Another environmental concern lies with inhalers used by people who have asthma or other breathing problems, such as chronic obstructive pulmonary disease. Traditionally, many inhalers have contained chlorofluorocarbons (CFC's), a propellant that damages the protective ozone layer. The CFC inhalers are being phased out and replaced with more environmentally friendly inhalers. Depending on the type of product and where you live, inhalers and aerosol products may be thrown into household trash or recyclables, or may be considered hazardous waste and require special handling. Read the handling instructions on the label, as some inhalers should not be punctured or thrown into a fire or incinerator. To ensure safe disposal, contact your local trash and recycling facility. This article appears on FDA's Consumer Updates page4, which features the latest on all FDA-regulated products. 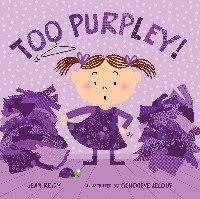 WIN: Bloomsbury Books is giving away one set of Chick 'n' Pug!, Too purpley, Even monsters need haircuts books. Click here to enter today. WIN: Mattel Loopz is giving away one Loopz game. Click here to enter today. WIN: Happy Heads are giving away on set of Happy Heads natural prevention products for head lice. Click here to enter today. WIN: Cahootie a giving away a Cahootie. Click here to enter today. 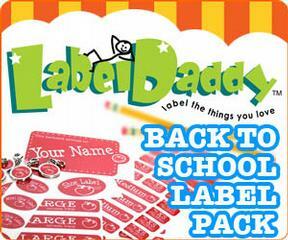 WIN: Label Daddy is giving away one school pack of labels. Click here to enter today. Click here to enter to win Chloraseptic today. 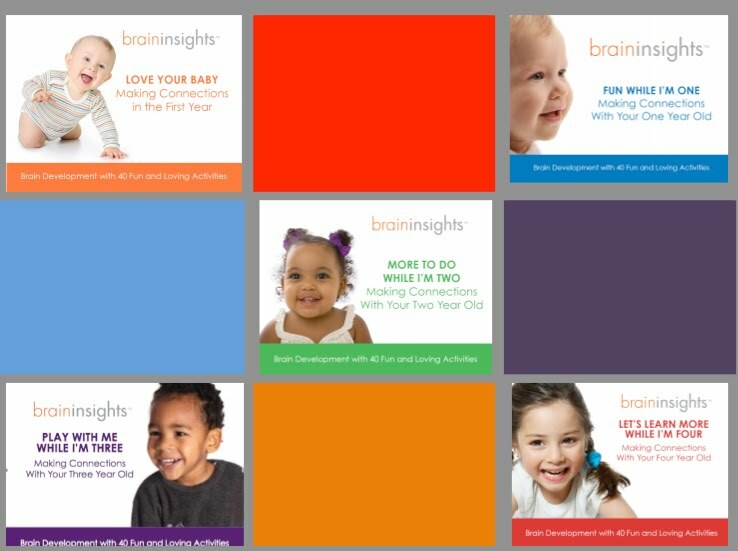 WIN: braininsights is giving away on set of activity packets. Click here to enter today. WIN: thinkSMART is giving away a set of thinkSMART games. WIN: Lionsgate & HIT Entertainment are giving away a copy of Let's Grow: Safety First DVD. 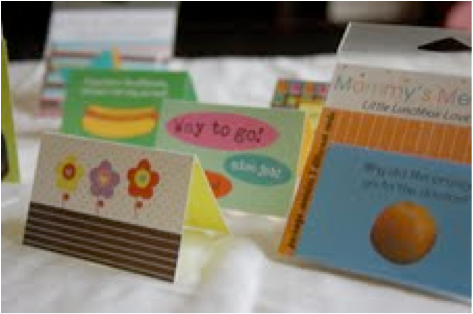 WIN: Mommy's Messages is giving away a special prize pack of 5 Mommy's Messages packages. Click here to enter today. Phone Messages: No more lost messages. Purchase a spiral notebook and place it by your phone so that you and your family can record phone messages in it. Label the front of the notebook " Phone Messages". 8 beloved Rosemary Wells stories come to life in this 2 DVD collection. Kids and parents delight watching the original Max and Ruby stories plus newer family favorites such as Noisy Nora and Emily's First 100 Days of School. NOISY NORA (Written and illustrated by Rosemary Wells, narrated by Mary Beth Hurt) What's a wee little mouse to do when little brother and big sister take up all of Mom and Dad's time? Make noise! EMILY'S FIRST 100 DAYS OF SCHOOL (Written and illustrated by Rosemary Wells, narrated by Diana Canova) As the days and weeks of school go by, Emily and her classmates learn new ideas, expand their world, and grow closer together one day at a time. VOYAGE TO THE BUNNY PLANET (Written and illustrated by Rosemary Wells, narrated by Maggie Gyllenhaal) Three bunnies are whisked off to the gentle Bunny Planet - a place that lies - far beyond the moon and stars. READING TO YOUR BUNNY (Written and illustrated by Rosemary Wells, performed by Mary Chapin Carpenter, voices by Diana Canova, David DeVries, Rosemary Wells, and others) An original story by Rosemary Wells highlights the importance of reading to little ones. MAX'S CHOCOLATE CHICKEN (Written and illustrated by Rosemary Wells, narrated by Clavelle Dalferes) Will Max and Ruby find the most Easter eggs to win the chocolate chicken? Only the Easter Bunny knows for sure. MAX'S CHRISTMAS (Written and illustrated by Rosemary Wells, narrated by Jenny Agutter, and Rex Robbins) Max is told that he can't stay up to see Santa, but he sneaks down anyway. Will Santa still come if Max is awake? MORRIS'S DISAPPEARING DOG (Written and illustrated by Rosemary Wells) Morris thinks his brother and sisters have better Christmas presents. But inside the last box under the tree he finds a magical gift that makes all his troubles disappear. OTTO RUNS FOR PRESIDENT (Written and illustrated by Rosemary Wells, narrated by Diana Canova) Who will win the big school election at Barkadelphia School? Popular Tiffany, Sporty Charles, or good friend Otto? WIN: 24/7 MOMS and Scholastic are giving away one copy of The Rosemary Wells Collection featuring Max and Ruby. *We received a complimentary copy of The Rosemary Wells Collection featuring Max and Ruby for review no financial compensation was received. Day 87 - Teach you children to sew or knit choose a simple project that can be accomplished in a short period of time. Q: What do you think heaven is like? Summer fun, vacations, pool time, BBQ's, lazy days are coming to an end here at the Novotny home, as we begin counting down the days until school starts. And this mom is making her Fall goals. One of my family goals this fall is to date my kids more - to spend more individualized time with each child which is not always an easy task with 5 kids. Why Date your kids? It allows you time to connect with them with out the interruptions of the other family members. It allows you to focus on one child at a time and gives them the ability to connect with you knowing they have 100% of your attention. It allows you the ability to invest and inscribe into their lives your value system. It allows you to not just say you love them but to show it in action. Will you join me and make it a goal this fall to date your kids? Step #1 List - Make a list of date ideas for each of your kids. Ask them about things they would like to do with you. This could be as simple as a hike or trip to the ice cream parlor. Step #2 Action - Put your kid dates on your calendar now. If you don't plan- it won't happen. Step #3 Prepare - Make arrangements to have a successful date. - Arrange for your other children to be taken care of ( dad or baby sitters). - If you are going to dinner make reservations. - If you are attending an event , purchase tickets. - Invite your child, some children need to know the plan ahead of time. Step #4 Engage- Create conversation by asking them open ended questions about them. Don't spend all your time talking, take time to listen to them. Ask them about their interest, opionins, fears, goals and dreams. Be there for your kids by making memories with one on one dates. The kind of time they will remember that you have invested in them. Designate Days: Plan specific days of the week to do your grocery shopping, run errands, to clean your house, do paper work, volunteer in your kids school, etc. If your Children are like my Children they learn and love math through fun, visual, hands-on games and lessons. Children fall in love with Zillio at first sight. 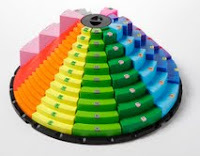 The large colorful rotating structure is not only beautiful and exciting, but it is a powerful model of math based on two critical math concepts: times tables and number lines. Combined, these concepts create the foundation for 10 essential skills to help children learn, use, and understand the math necessary to grow and succeed. And nothing is more rewarding than helping them along the way. 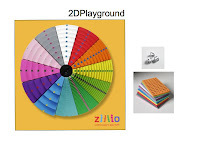 The Zillio math playgrounds (either the 3D Mountains or the 2D game board) set the stage. They combine visual, tactile, and kinesthetic elements to meet the learning styles of most children. The educational games and lessons are a perfect balance of fun and powerful learning. Progressively challenging activities are based on standards for grades Pre- K through 6+ including counting, addition, subtraction, multiplication, division, fractions, number lines, ratios, equivalency and algebra. It’s the learning that makes playing math really fun for everyone. Find out why everyone falls in love with Zillio. Whether you are a parent looking for educational toys and games for you and your family to enjoy together, or an educator looking for a powerful math manipulative to help you provide instruction in a classroom environment and/or strategic one-on-one supplemental instruction, you’ll find what you need: educational games, standards based lessons and tutorials to help you get started today. This Mountain measures 18” in diameter and 8” high and is easily portable. The maximum height reached (peak elevation) is 36. It is excellent for introducing and exploring even the most advanced concepts but it is more limited in developing fluency. The number of players varies by activity, from one to four. Hands-on activities and length of play are suited to beginning levels and skills as well as more advanced ones. Ages 4 to 94. This colorful 2D version of our Mega Zillio can be used as a game board, a poster, and a worksheet. 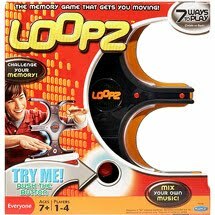 Perfect for 2- 4 students to practice math facts and or play games to develop problem solving and reasoning skills. It measures 24" by 24" and is laminated. It has a picture of the Mountain with multiples on one side and without on the other. It comes with instructions, 3 dice, and 1 set of 12 foam cards with tokens. WIN: 24/7 MOMS and Zillio Games are giving away one Zillio Game. Go to www.zilliogames.com and check out their games. Then come back here to 24/7 MOMS and leave us a comment with a name of one of the games you can play with Zillio along with the below requirements. 3. For an additional entry go and follow Zillio's Facebook page. Click here to follow now. Then come back and leave us a comment that you are a Zillio follower. *We received a complimentary Zillio Game for review no financial compensation was received. Q: Tell me about something I never knew you did when you were little. Universal Pictures presents Nanny McPhee Returns starring Academy Award Winning actress Emma Thompson as none other than, Nanny McPhee. The tenacious work ethic of the miracle worker Nanny McPhee and her support to help struggling families has transformed generations of imagined misbehaved children for over 100 years. You see, Thompson’s screenplays (Nanny McPhee and Nanny McPhee Returns) are adaptations from the adventures of “Nurse Matilda” written by the Malaya-born author Christianna Brand and illustrated by her cousin, Edward Ardizzone. The three book series of Nurse Matilda (Nurse Matilda, Nurse Matilda goes to Town and Nurse Matilda goes to Hospital) were first written down and illustrated in 1960. They are remnants of the actual bedtime stories Christianna and Edward heard as children told by their grandparents, who had heard them from their grandparents going back to 100 years of their traditional family storytelling. Over time, each generation would add to the original version of the magical nanny who mysteriously appears on the doorstep of households with ill-behaved children with the soul purpose to assist with the task of disciplining the brood, creating a personal family legacy on how to deal with the unruly kinfolk. Thompson’s excellence in her adaptation of Nurse Matilda’s quest also keeps true to Brand’s family storytelling of Nurse Matilda (in the films now, Nanny McPhee) to be a timeless character every generation could imagine a magical force of integration into their own lives. In Nanny’s latest adventure Nanny McPhee Returns, she arrives at the home of Mrs. Isabel Green (Academy Award nominee Maggie Gyllenhaal) who is a young mother struggling to care for her unruly three children, Norman (Asa Butterfield), Megsie (Lil Woods) and Vincent (Oscar Steer) and the family farm in the absence of her husband, Rory (Ewan McGregor) who is away at war. It all hits the fan when Isabel’s snobbish niece, Celia (Rosie Taylor-Ritson) and nephew, Cyril (Eros Vlahos) from London come for an unexpected visit. A string of calamities bring Isabel to her breaking point trying to keep peace in the family with the war between her children and the cousins-- The battle known as, The Covered-in-Poo People vs. The Perfumed Townies. Nanny McPhee gets wind of the horrific crisis and unexpectedly appears on the doorstep of the Green farm knowing her help and beauty will be welcomed…eventually.